This week, we get something different: a fanpost I wrote over at Habseyesontheprize.com, an online community for fans of hockey, the Montreal Canadians, and advanced statistics. The post is intended to be half-joking but half-serious; hope you enjoy. Over the last 10 games Habs fans have been finally, at long last, blessed with a well-constructed lineup. 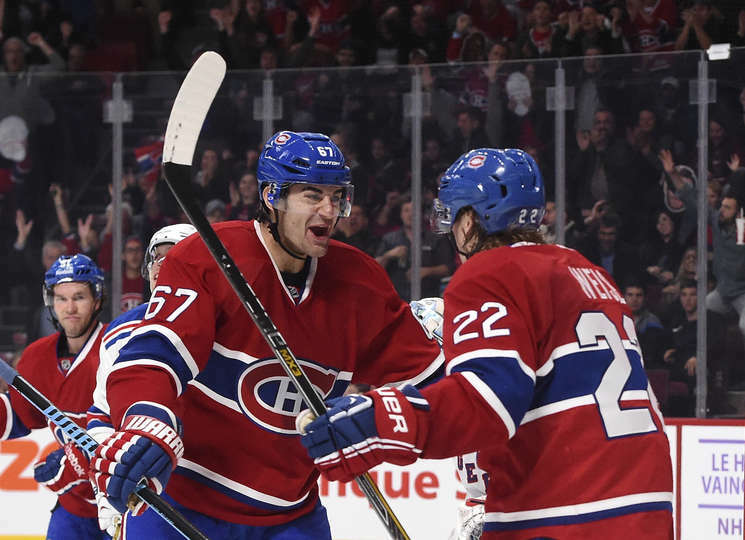 At long last, the Pacioretty-Desharnais duopoly has been broken, Galchenyuk finds his natural home at C, Tomas Plekanec and Lars Eller are finally given proper linemates, our D pairings make sense, and all is right in the world. The result? A pretty cool 9-1-0 record over those 10 games, and although the process hasn’t been perfect, it’s been a breath of fresh air. We’ve come a long way, after all- from the dark periods of top-pairing Emelin, Plekanec’s rotating cast of Blundens, and all of that “first line chemistry”, which just about every NHL team had gotten wise to. It’s an incomplete journey, but progress is progress. From our fortunate vantage point, I think it’s worth exploring why these poorly constructed lines seem to pop up everywhere and then stubbornly persist for months, if not seasons (I think our friends at PPP have a few things to say about that). Hockey stands out among professional sports in an interesting way: the four-line system leads to a dynamic whereby roster players inhabit a hierarchical structure, much like a company or other organization, and whereby good play can be rewarded by a promotion to a higher line or poor play a demotion. A hockey team, in other words, is somewhat of an organizational hierarchy. In an organizational hierarchy, every employee will rise or get promoted to his or her level of incompetence. The Peter Principle is based on the notion that employees will get promoted so long as they are competent, but at some point will fail to get promoted beyond a certain job because it has become too challenging for them. Employees rise to their level of incompetence and then stay there. Work is therefore accomplished by those employees who have not yet reached their level of incompetence. This leads us to everyone’s favourite punching bag: David Desharnais. Of course. DD’s tenure on the so-called “top line” illustrates the Peter Principle very well. Not only did he rise through the Habs lines due to good play and general merit (after a long, difficult road there as an undrafted player), he found himself on the Cole-Pacioretty line, a lone bright spot in a dismal year (despite- or really, because– the other three lines were hemorrhaging goals under RandyPuck). But then, as the team emerged from that crappy season, the questions began- is he defensively capable enough to be a real 1C? How much of his success could be attributed not to his abilities, or chemistry, but really due to his linemates driving possession? Was it worth mortgaging the other lines’ production in order to feed the DD line offensive zone starts? What about those stretches when he just… stunk? Organizations tend to systematically promote their least competent employees to management in order to limit the amount of damage they are capable of doing. Amazingly enough, the Peter Principle has been nicely predictive in the reverse situation: ever since DD got bounced from the top line, he’s been playing really well! How come? Because he’s returned to a level at which he is competent. Good on Michel Therrien for finally realizing this and embracing it- even going so far as to move his ‘1C’ down andover to wing. So if the Peter Principle is real, and does in fact explain why incompetent lines can persist, what can be done about it? Well, we can look to academic research for a solution. A few years ago, Pluchino et al. modeled the Peter Principle in a computational studyand found that, in fact, promotion based on performance was among the least efficient ways to promote employees from within a closed system. Why? Because it a) maximizes individual promotion towards incompetence, and b) guarantees the most efficient possible removal of competent employees from their posts. 1) Promote people entirely at random. 2) Shortlist the best and worst performers in each given group, and then promote one of those two people, selected randomly. This study reached prominence when it was awarded a 2010 Ignobel Prize for the silliest research of the year. (Note: Ignobels don’t reward bad science! Just ridiculous topics.) Yet I’m convinced it has its merits, and even its fair share of devotees. Especially- wait for it- one Mr. Michel Therrien, head coach of the Montreal Canadiens. 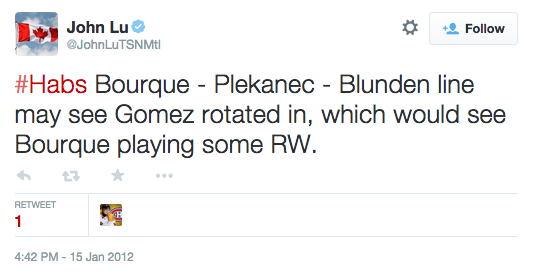 After all, how else can you explain where Dale Weise has played this year?